Producing high-quality outcomes at all projects. Guarantee the above-aspects within schedule and budget. Looking room to increase and improve our services. 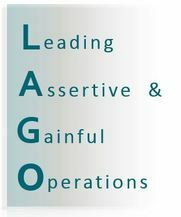 Note: To satisfy this philosophy, LAGO only employs staff who have the same personal goals to satisfy commitments and assist in the successful completion of our clients' missions.